Congratulations to SECOLAS members Rita Palacios and Paul Worley on the release of their book entitled Unwriting Maya Literature: Ts’íib as Recorded Knowledge, published by the University of Arizona Press. This excursion is on Sunday, March 31. The ruins at Mitla consist of 5 “ruin clusters”. Archaeologists speculate that some of the ruins were used for ceremonial and religious purposes, while others served as palaces for the elite. Unique to Mitla are the greca decorations found on ruin walls. 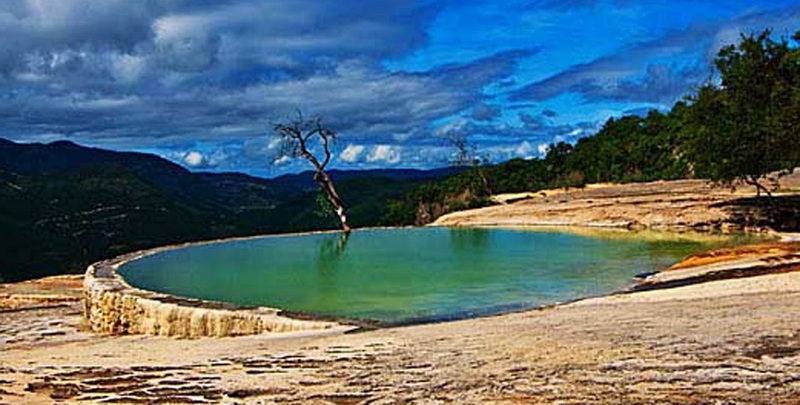 Hierve el Agua is renowned for its natural springs and surrounding mountain beauty. Although the springs perpetually appear on the point of eruption, the natural temperature of the water fluctuates between 22 and 25 degrees Celsius (72 and 77 degrees Fahrenheit) allowing visitors to comfortably enjoy a refreshing dip in the springs. Furthermore, Hierve el Agua was a sacred spot for the ancient Zapotecs, thus archaeological investigations have discovered important information concerning the lives of the original inhabitants of the region. Archaeologists have recently discovered an irrigation system more than 2,500 years old. At Hierve el Agua, visitors may enjoy the option of swimming in one of its fabulous springs, or in a recently constructed pool. This trip takes place on Tuesday, March 26. 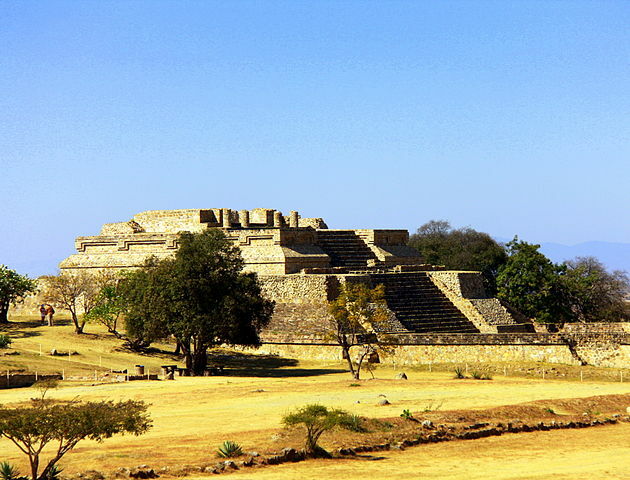 Monte Alban served as the ancient capital of the Zapotecs between 500 B.C. and 800 A.D. At its height the city was inhabited by more than 40,000 residents. Today, visitors can explore the site. Points of interest on the Grand Plaza include: temples and palaces; bas-reliefs of human figures known as the danzantes; a ball court; an observatory; and tombs that once held gold, silver, jade, alabaster and turquoise treasures (now housed at the Centro Cultural de Santo Domingo in Oaxaca City). Arrazola, known for its alebrijes, or colorful hand-carved and painted animals that are seen in markets and tourist shops in and around Oaxaca. Students have the opportunity to visit local homes where the wooden creatures are produced.